So, the Wife found an Aspire One NETBOOK, no doubt at the usual time 4 am in the morning on flea-bay, pre-installed with XP on it, and to no surprise, ran as slow as a cow running. 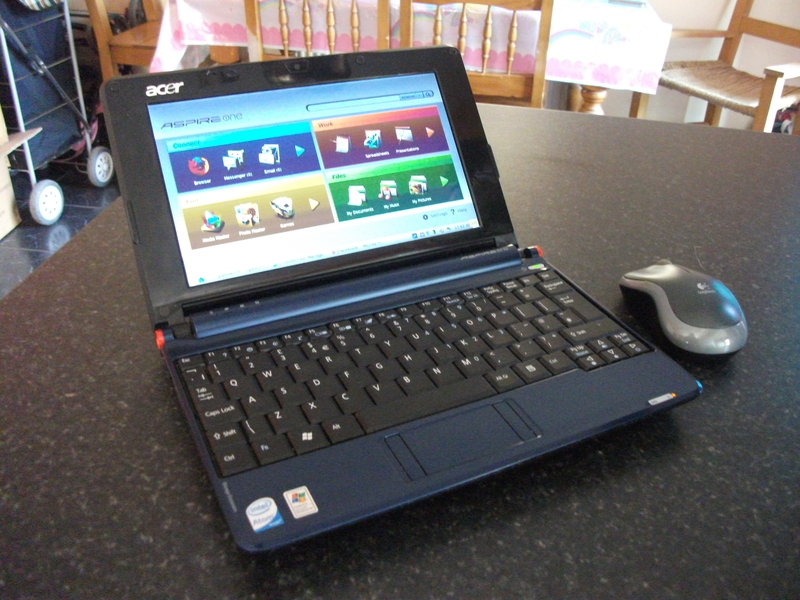 Here’s a picture of it running Linpus Lite, If ever – you spot a netbook, and it’s got a SSD Hard Drive installed in it, you’ve got a million options, from replacing the SSD in the form of a CompactFlash – I’m sure many of you have heard google is your friend, I’m sharing the option I used. At first when we got it, we thought wow, this thing’s for spares, it can’t even run a web browser, and I mean download speeds were TERRIBLE, after some digging around I nailed it to the sector sizing and the moron that had it set to high or too low, many people know a standard SSD has perks and flaws, one being partition alignment – which to me seemed to be the problem – We were given 4 system CDs (and obviously standard “netbooks” don’t have drives, and the one’s that do, are rare, far and few, thus the term) among one of them was a pirate copy of windows xp SP3, for whatever reason we have no idea, D2D recovery had been removed and the entire drive had been formatted, this was the big problem, I couldn’t tell you if it was a pirate copy or if it was a back-up of the original, safe to say it was since having handwritten “Win XP SP3” instead of “Acer Aspire One Recovery CD” would of made the big difference. Don’t be surprised but the recovery took 12minutes when the download took 3 days – and the extra 30 minutes to decompress 1.2GB in a 900MB zipped torrent with plenty of seeders. boot time is no more than 10 seconds where it would of been nearly half of 10 minutes! !